Facebook is still holding the #1 spot as largest social media platform in the world. 80% of US network users preferring to connect to brands through Facebook, your presence is highly requested. 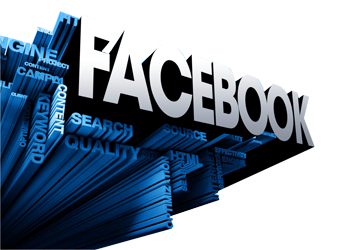 Peak Marketers Facebook marketing advertising services are designed around how your consumers think and interact. We use advanced data reporting technology and consumer insights to connect and engage with your audience on Facebook. Our Facebook Marketing Advertising services analyze interest-based and demographic data along with extensive behavioural, to identify your current audience base, as well as your prospective consumer audience. We create content that is optimized for your consumer behaviour and intent to engage the correct community on Facebook in order to drive organic and paid growth..
Having a customized, professionally designed presentation on Facebook can put you way ahead of your competition by utilizing its unique cutting-edge marketing capabilities. If you’re debating whether or not you should go down the route of using Facebook Marketing Advertising , Here are a few benefits. The greatest advantage of Facebook Marketing Advertising is how super-targeted your message can make it. Facebook marketing advertising provides you the opportunity to really zoom in on your audience. Facebook allows you to use your CRM data to create look-alike audiences with the help of Facebook’s data. You’re able to reach new people who are similar to your customer base, and are likely to be interested in your business. This gives you the ability to be more precise in your audience targeting because of the first-party data that’s available through people’s profiles, such as the users’ gender and location. For example, when remarketing, you can use your own data and combine it with Facebook’s data, to better target those people who have visited your website before. Facebook’s targeting allows you to only serve your ads in a certain area, a particular town, say. If you’re a local business, this is a huge advantage. Say you’re a solicitor in San Diego. Facebook advertising gives you the opportunity to show your ad to anyone who has put San Diego as their hometown, and there’s your market right there. When you’re designing your ad, Facebook lets you know how many people are likely to see it. This is good for knowing what’s worth targeting and what isn’t. Unlike TV ads, Facebook’s video advertising feature knows what you like and dislike. With 890 million daily active users on average for December 2014, the potential reach your video ads have is likely to increase. With 1.19 billion mobile monthly active users as of end of September 2014, and about 745 million daily active users on mobile. Your Facebook Marketing Advertising will be able to reach your audience right at the palm of their hands. Why Facebook Marketing is important in promoting businesses nowadays?